After the first arrest, police searched a residence in Sunbury-on-Thames. 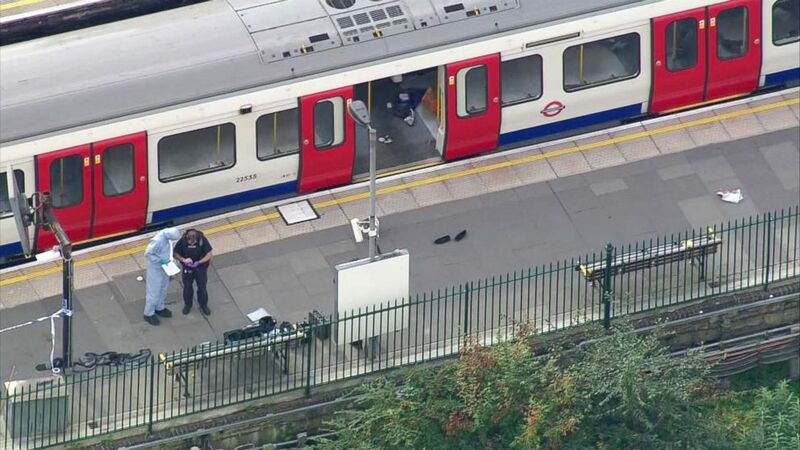 Britain's terrorist threat level has been lowered from critical to severe after police arrested a second man in connection with Friday's terrorist attack on a London Underground subway car and authorities there cited progress in the investigation. Britain's Home Secretary Amber Rudd said Sunday that the decision was made "to lower that level from critical to severe," according to The Associated Press. 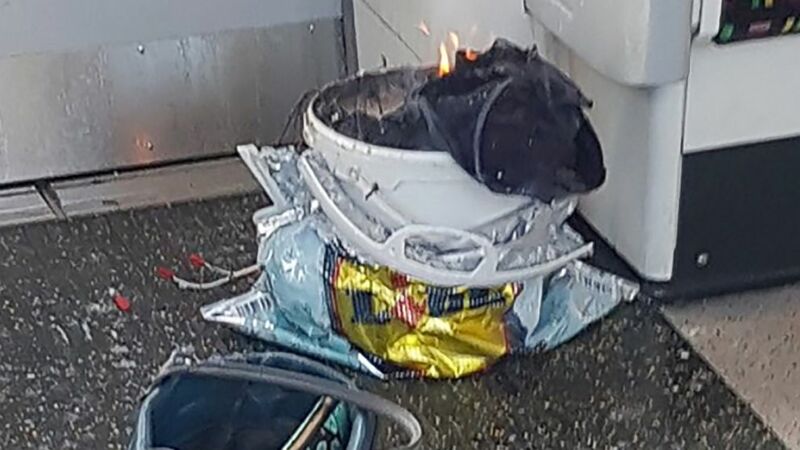 On Friday, an apparent bucket bomb exploded on a London Underground train at the during the morning rush hour. The blast propelled a fireball through a passenger car, sending at least 30 people to area hospitals, officials said. Rudd warned that the lowering of classification doesn't mean the danger is over. “‘Severe’ still means that an attack is highly likely, so I would urge everybody to continue to be vigilant, but not alarmed,” she said, according to the AP. Assistant Commissioner of the Metropolitan Police Service Mark Rowley added that beyond the overnight arrests, a "rapid progress" in the investigation contributed to the decision to downgrade the threat level. "There are now two searches continuing at addresses in Surrey, and we are getting a greater understanding of the preparation of the device," he said. A 21-year-old man was arrested around 11:30 p.m. Saturday in Hounslow, a borough in west London, by detectives with the Metropolitan Police's Counter Terrorism Command. The unidentified man was arrested under section 41 of the U.K.'s Terrorism Act, and taken to a south London police station where he remains in custody. Earlier Saturday, police had evacuated a house in a London suburb as well as part of the Port of Dover after arresting an 18-year-old man that morning in the southeastern coastal city in connection with the attack, police said. Kent Police arrested the man in the port’s departure area -- about 75 miles from London -- at approximately 7:50 a.m. local time under section 41 of the U.K.'s Terrorism Act, according to London's Metropolitan Police Service. The section provides authorities the power to arrest a person suspected of terrorism-related offenses without a warrant. "We have made a significant arrest in our investigation this morning," Metropolitan Police Deputy Assistant Commissioner Neil Basu said in a statement. "He was arrested on suspicion of being concerned in the commission, preparation or instigation of acts of terrorism. He has now been transferred to custody at a police station in London." Today, Rowley provided an update on the Parsons Green investigation and the change to the threat level. “There is still much more to do but this greater clarity and this progress has led JTAC – the independent body that assess threat – to come to the judgement that an attack is no longer imminent. And you will have heard consequently the Home Secretary’s announcement that the threat level has reduced from Critical to Severe which of course means that an attack is highly likely,” he said. Basu said that after they closed the Port of Dover, "they recovered a number of items during this search." On Saturday afternoon, police evacuated and launched a search of a house in Sunbury-on-Thames, a town in Surrey county 15 miles southwest of central London, in connection with the investigation. Neighbors immediately surrounding the address were also evacuated as a precautionary measure. “I want to reassure that community that our expert officers are quickly and thoroughly searching that address and working to ensure that it is safe. Once this is done a detailed search will take place," Basu said. London Mayor Sadiq Khan hailed Saturday morning's arrest. 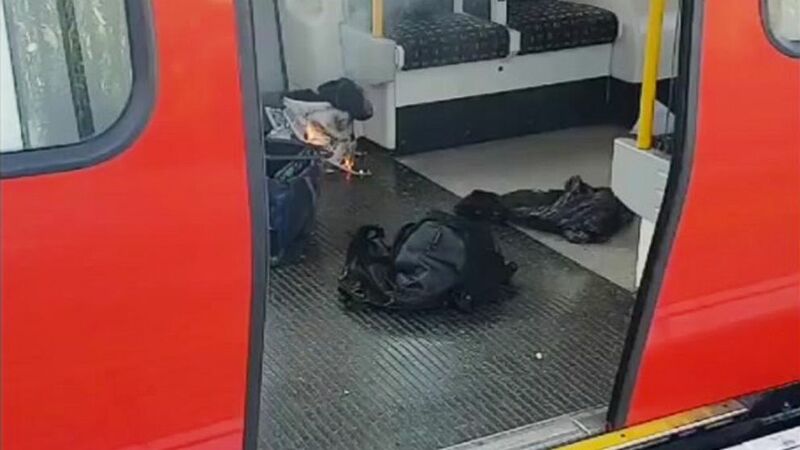 "This morning police have made a significant arrest as part of the investigation into the terrorist attack at Parsons Green station yesterday morning," Khan said in a statement. "The police investigation is ongoing and there will still be significant activity today and over the days ahead. I am sure I speak for London when I say we are incredibly grateful to the police and intelligence services for doing everything possible to keep Londoners safe." "London will never be intimidated by terrorism. We will always defeat those who seek to harm us and destroy our way of life," the mayor added. (@sylvainpennec/Adrian Dennis/AFP/Getty Images) A white container burns inside a London Underground tube carriage at Parsons Green underground tube station, Sept. 15, 2017. ISIS claimed responsibility for the attack through its Amag News Agency. Rowley told reporters that it is "routine" for ISIS to claim responsibility for such attacks, whether the group was involved or not. Authorities had immediately launched a manhunt for suspects. Following Saturday's arrest, the Metropolitan Police Service announced it was still working to identify and locate any other potential suspects. “At this stage we are keeping an open mind around whether more than one person is responsible for the attack and we are still pursuing numerous lines of inquiry and at a great pace," Basu said in a statement Saturday night. “We have identified 121 witnesses so far, and we have spoken to 100 of them already. Officers continue to trawl through many hours of closed circuit television footage and more than 180 videos and pictures that have been sent to them by the public." (Sylvain Pennec via AP) Burning items at the scene of an explosion in London, Sept. 15, 2017. 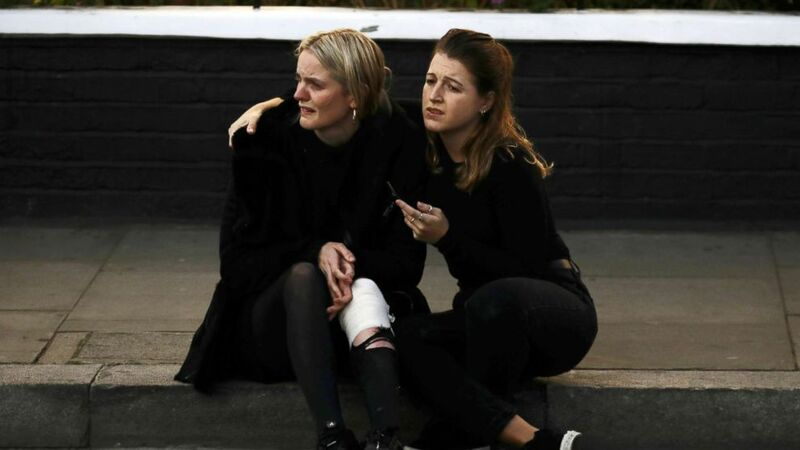 Eyewitnesses told ABC News that the blast happened as the train pulled into the Parsons Green station in Fulham, an affluent, mainly residential area of West London. "I heard a loud bang and as I looked to my right, there was a flame, a fireball came through the carriage. ... As the doors opened, people then began leaving the train straight away," said Martin Adams, a security manager for The Walt Disney Company who was riding in the subway car at the time. "I saw some flames coming from what I thought was a blue bag." Another person who was at the station said she saw a number of people with what appeared to be facial burns and singed hair after the explosion. "I saw a couple people with burns. One lady had her hair badly singed by the fire," said Sally Faulding, who witnessed the panic on the subway platform. "I also saw people injured obviously from having been stampeded on the platform because we were all running. People were falling over." As of Friday, the London Ambulance Service said it had transported 19 patients to area hospitals and 10 others took themselves, but none of the injuries were serious or life-threatening. On Saturday, the Metropolitan Police Service said a total of 30 people have received treatment at hospitals for injuries from the attack. Adams said the situation was managed well by train operators and emergency crews, and that passengers remained relatively calm. "There were no casualties at all on the train. Everybody appeared to get off," Adams told ABC News. "There was nobody laying on the platform floor. I assessed that there were no serious casualties at that time." (AP) Forensic officers work at the Parsons Green Underground Station after an explosion in London Sept. 15, 2017. Police said the improvised explosive device on the train did not fully explode. Apparent images of the device show wires hanging out of a white bucket. U.S. President Donald Trump, who has clashed with Khan in the past, shared his thoughts on Twitter just before 7 a.m. ET. Another attack in London by a loser terrorist. These are sick and demented people who were in the sights of Scotland Yard. Must be proactive! Trump referred to the suspects being "in the sights of Scotland Yard," though London officials have not publicly provided any confirmation of that. (Kevin Coombs/Reuters) An injured woman reacts outside Parsons Green tube station in London, Sept. 15, 2017. Law enforcement agencies across the United States said they are closely monitoring Friday's incident. New York City Police Commissioner James O'Neill said Friday there were no known threats to the city's subway system, but reminded passengers to remain vigilant and aware of their surroundings. However, New York Gov. Andrew Cuomo released a statement Friday saying he was increasing security in public transportation areas across the Empire State. "Out of an abundance of caution, I am directing state law enforcement to increase security at vital assets across New York, including airports, bridges, tunnels and mass transit systems," Cuomo said. "The safety and security of New Yorkers is our No. 1 priority, and we remain in close contact with local and federal officials. We remain vigilant, and we stand with the people of London." ABC News' Rashid Haddou, Dimitrije Steijic, Kelly Stevenson and M.L. Nestel contributed to this report.